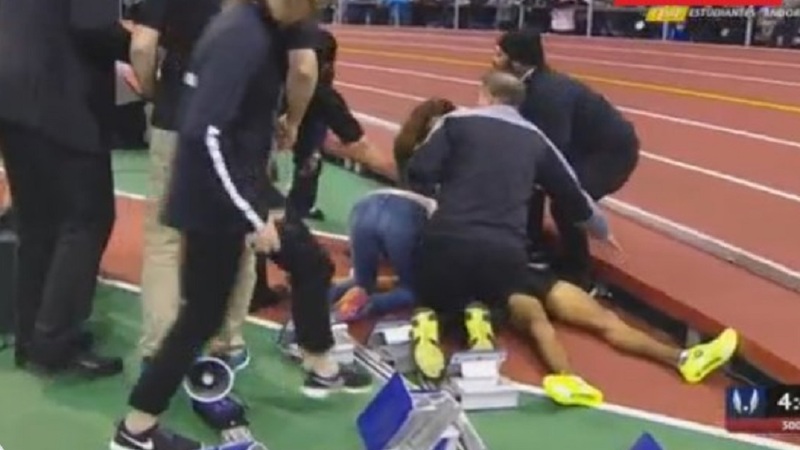 Kemoy Campbell being attended to after collapsing while setting the pace in the men's 3000m at the Millrose Games in New York. 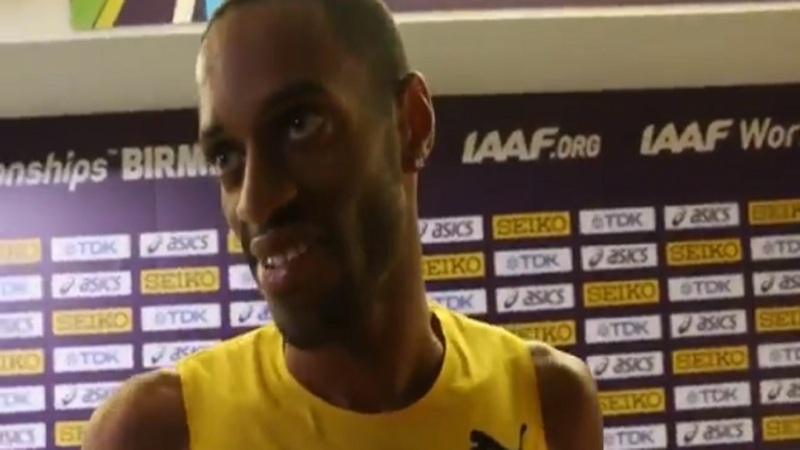 Jamaica's leading distance runner Kemoy Campbell was rushed to a hospital after collapsing while competing at the Millrose Games in New York on Saturday. The former Bellefield High School and University of Arkansas star looked very disoriented while acting as pace-setter during the men’s 3,000-metre race. Following the completion of the 3,000m, the meet was suspended for about a half hour. No official word on his condition has been made.